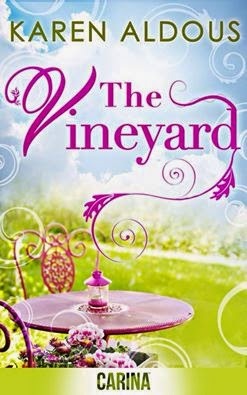 Today I am very excited to take part in The Vineyard Blog Tour. I have a very special treat for you, Karen Aldous stopped by to answer some bookish questions for me, so enjoy! My home is in a village in Kent, just over twenty miles from London. I’m very lucky to have a wonderful husband and family with three gorgeous little grandchildren who I look after two days a week and, naturally, spoil. I also have a web design business. As a family, we get to do lots of things together such as walking, cycling and skiing. When I’m not with them and I’m not writing, I’m usually reading or taking our golden Labrador for a walk – I value this thinking time! That sounds really nice. Have you always wanted to be a writer? I always loved writing and, reading but as a child I wrote poetry. I only began to attempt writing stories in my late teens, early twenties. I remember reading a book one day on my way to work and thinking, I could write better than this but, of course, I tried and, I couldn’t. It did make me read differently though. I began to read with writing in mind. Being a writer is harder than most of us think, how was the publishing process for you? I’ve been very lucky! I joined the Romantic Novelists’ Association New Writers Scheme in January 2012. I wrote and submitted two thirds of my first novel that year for a critique which returned with encouraging remarks. I worked on the changes and sent it off the first three chapters to a competition. I was then asked to meet an editor who asked to see the complete manuscript. When it was eventually completed, and it was slow as my mother was very ill that year, I resubmitted to the New Writers’ Scheme and to CarinaUK. About eight weeks later, I was sent a two-book contract. As you can imagine, I was thrilled to bits - Still am!!! It’s a contemporary romance set in Cannes in the south of France and in my own village in Kent. My main character Lizzie has built up a beauty business and lives in Cannes bringing up her young son. However, just as her confidence and independence are growing life throws the proverbial curve ball her way when her son’s father discovers she had his child and, when she returns to England after five years to build bridges with her mother, not only is she surprised to learn her mother has a gorgeous younger lover, Cal, who is leasing the land she is to inherit for his vineyard but that she is strikingly attracted to him. Business and events hurl both time and temptation together. Where did you find the inspiration to write this lovely novel? I'm guessing you are a big fan of wine. Absolutely, I’d love to live on a vineyard in Provence and, yes wine is a huge favourite of mine. Any colour! It was my first trip to Provence which inspired it and my visit to Cannes inspired my character Lizzie. I found her a fabulous apartment and, she just took over. As you say, The Vineyard is set partly in France, is it your top destination for your holidays? What makes it special? Yes, it’s my indulgence. My guilty pleasure! I’ve travelled most of it, Loire, Burgundy, Voges, Jura, Dordogne, some of the west coast, Languedoc, Pyrenees, Provence, Cote d’Azure, Alps. It has everything; sunshine which doesn’t get overbearing, stunning landscapes, scenery, great skiing, canoeing and walking. The culture, language, food and wine - ooh la la, I’m just drunk on France! Which 3 words would you choose to describe Lizzie, the heroine of The Vineyard? Are you working on book 2? What can we expect? Yes, it’s set in another beautiful part of Europe, Switzerland. This time in Montreux, on Lake Geneva. Gina, my main character is in a relationship with Max but when she meets the gorgeous Ollie Martin, she is suddenly haunted by a troubled spirit who she learns, met an awfully tragic end at the Chateau de Chillon. What Gina then has to discover is whether the intentions of the spirit are good or evil. Undoubtedly the pleasure of my writing being read. And, with such great reviews! I’m in it for the long term, so I want my readers to want more! I think the downside is probably the time it takes to establish an author brand, like any business really – unless of course I become an overnight bestselling author! Oh this is a really difficult one. I could name so many! They are truly my hero’s. I suppose I should be really grateful to Jilly Cooper and Barbara Taylor-Bradford, Jane Austen, Henrik Ibsen, Colleen McCullough they gave me my early inspiration. More recent Jill Mansell, Freya North, Leah Fleming, Victoria Hislop, Fiona Walker and Carole Matthews to name but a few! I love so many!! Julia Cameron, The Artist’s Way is also a superb inspiration! And finally, what is the funniest thing that has ever happened to you? On holiday in St. Ives, Cornwall with my husband and my one year old son. We were camping with my husband’s sister and brother-in-law and their three children who were then around fourteen, thirteen and nine. I was twenty weeks pregnant and had just discovered I was expecting twins (getting larger by the minute). The children outside the tents, were playing ball with my son. I sat down to watch in a lightweight canvas chair, and yes, you guessed - I fell right through it. Legs in the air! They have never let me forget it! 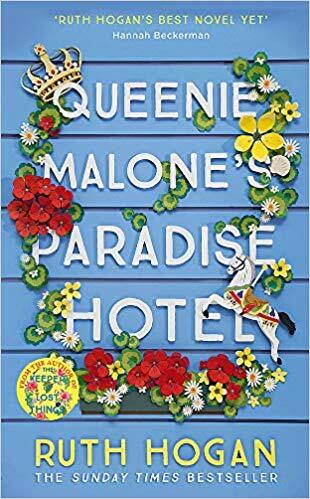 Blurb: It’s been five years, and Lizzie Lambert has decided it’s time to try to make things right with her estranged mother. She’s made a success of things in Cannes, she’s bringing up a lovely little boy on her own, and she’s ready to put the past behind her. 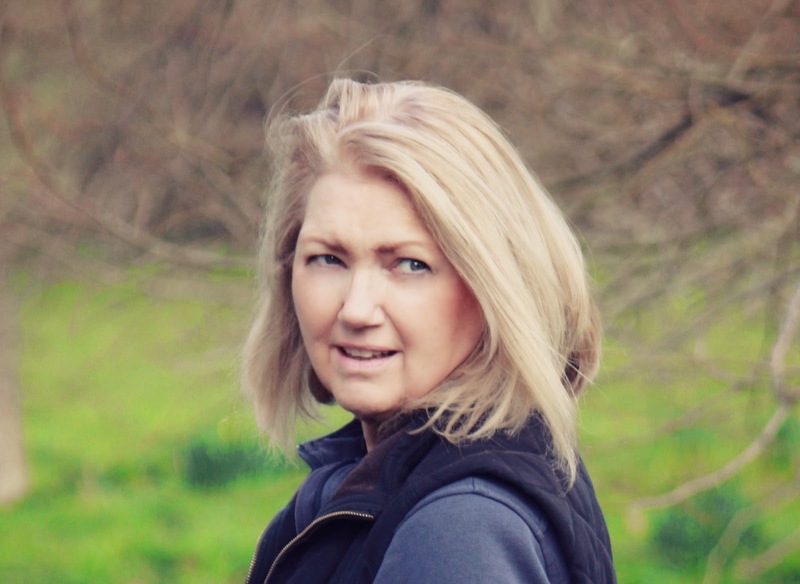 Thank you so much for taking time out for my interview Alba - I love your Blog spot - there's a whole week of lovely reading here with so many gorgeous authors. I think it's amazing what you generous bloggers and reviewers do for authors. I really hope I find new readers from your blog - as a debut author, my dream naturally, is to write more and for readers to want more. Have a great day everybody and good luck in the Giveaway! Alba, I love your interview questions and Karen's answers! Thank you for supporting Karen on tour.